When a customer makes a special purchase, you can throw in something fun like this baseball shape stress reliever. This comes with printed thread color as shown only and will allow anyone to squeeze away the tension of the day. This works great at office supply shops or sporting goods stores. Having a party for the big ballgame coming up? Make this a part of the goody bag! Don't forget to pad print your logo! That way you can stay in the minds of anyone who touches this. 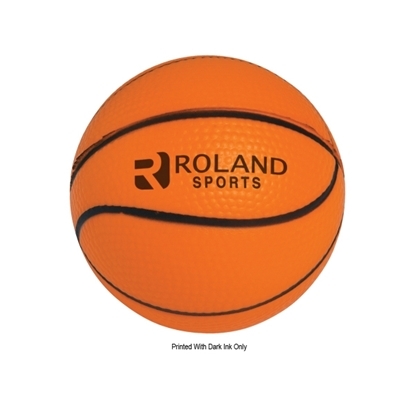 Stay in the minds of anyone who touches this basketball shape stress reliever when you make this your next giveaway! It comes printed in dark ink only and will allow any recipient to easily squeeze away the tension of the day. Office supply shops and sporting goods stores would do well to include this in their inventory. And this could also be a part of your celebration of a big game. Pad print your logo to this and become a go-to brand! Kick off your advertising campaign with this football shaped stress reliever! Measuring 3 1/2" x 2" in size, this stress ball comes in different sports ball shapes to choose from. 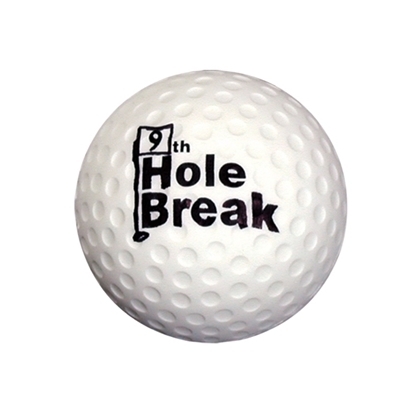 Customize this squeezable promo by adding an imprint of your company logo or team name for maximum brand exposure. This product is CPSIA compliant. 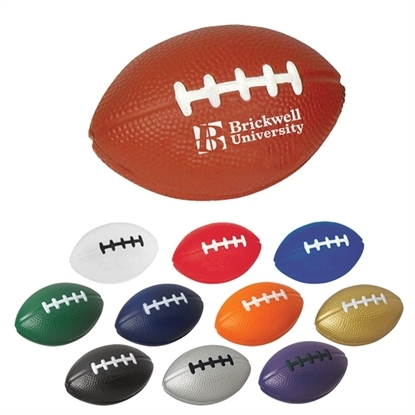 Great for sports tournament giveaways, game day handouts and more, select this fun football shaped favor for your upcoming event! Get the ball rolling with this fun promotional handout! 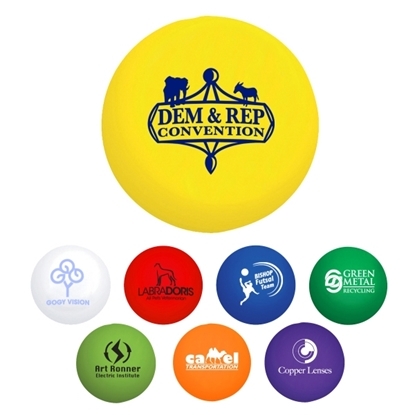 Measuring 2 3/4" in diameter, this round ball stress reliever is perfect for trade shows, conventions, wellness campaigns and other promotional events. Have your company logo or custom design imprinted on the surface for maximum brand awareness. This product is CPSIA compliant. Invest today and squeeze away all your worries with this handy stress ball! Pretend you're on the beach after a hard day at the office with this handy stress reliever! 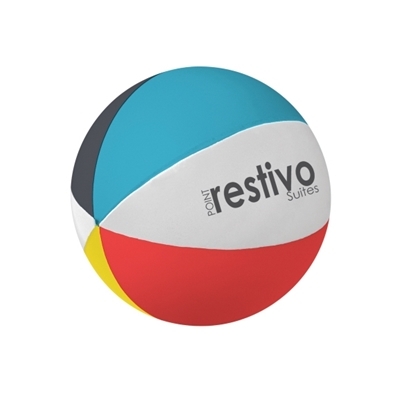 Measuring 2 3/4" in diameter, this round beach ball shaped stress reliever is a great handout for parties, conventions, resorts and more. You can customize it with an imprint of your company name or logo for maximum brand visibility. This product is CPSIA compliant. Select this fun promotional toy for your next marketing event! Mypromotionalpens.com offers the largest and best priced selection in Promotional Stress Balls. We will price compete and we won't be under sold. Let our graphic designers make your personalized Stress Balls standout above the crowd at no charge. We won't stop until you are completely satisfied with your custom Stress Balls art proof.Use category search filters on your left to help narrow your search to find exactly what you are looking for.